I often get asked by people checking out security systems for the first time, “I’m looking for an electronic security system for my business, should I go with a CCTV system?” The simple answer is “No” ... but sometimes the answer depends on the type of surveillance you need to put in place. CCTV systems are fine if you want to supervise staff, view activity, ensure WCB rules are being followed, making sure your staff are working, or you need to record the fact that right products were shipped, or received without damage. In other words, CCTV surveillance systems are a good operational management and recording tool. But as a security system, CCTV is not the best security solution. CCTV systems are often mis-sold to businesses looking for a security system. The truth is CCTV is ineffective and downright useless in providing real security protection and stopping crimes in progress. "My advice ... don’t buy a CCTV system if you want to protect your assets from theft or deter criminals from entry." What you really need is a camera surveillance system that gives you all the operational management and recording benefits of a regular CCTV surveillance system ... but adds one crucial feature - VERIFICATION. Our Sonitrol SonaVision verified security solution allows you to view in real-time, your business operations, fenced compound, or construction site, by sending a live video feed to our Central Monitoring Station. When a burglar attempts to gain entry into your site, in any way, various audio and video alarms are tripped, and the signal is sent instantly to one of our Sonitrol Security Specialists, who verify what is being seen or heard, as a real break-in or theft. If our Central Monitoring Station confirms criminal activity, we immediately report a crime in progress to the Police. 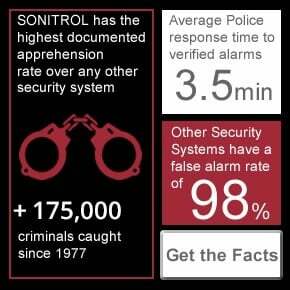 We've worked closely with dozens of Police departments across Western Canada for many years, so they all know Sonitrol very well, and they will respond to Sonitrol alarms because they know the criminal activity has been VERIFIED, and that there is a crime in progress when the call comes in. 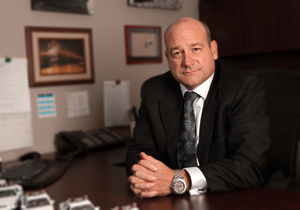 With over 175,000 criminal apprehensions since 1977, there is no question that SonaVision works. Those numbers represent the criminals caught on Sonitrol protected sites, it's also proof that the Police respond to our alarms. But in addition to that, many criminals will not even try to break into a Sonitrol protected site. There is no way of putting a figure to that, but we know that professional thieves prefer to hit unprotected, or weakly secured buildings and compounds (and many have poor CCTV protection). On the other hand they won’t even try to beat a Sonitrol security system because it’s too risky and they might get caught. In summary, here are the top 3 reasons why a CCTV camera is not the right choice when you're looking for a business security solution. 1.) CCTV doesn’t stop the crime, camera’s only record activity. Unless you’ve got someone watching the camera in the middle of the night, the video recording is not going to do anything to stop the crime from happening. Your property will be stolen, or your building will be damaged, and you won’t know about it until someone opens up the office/site in the morning. At that point you’ll be able to watch the video replay. If your security system doesn’t stop the crime, then you're not protecting your property at all. 2.) CCTV camera video doesn’t help capture thieves. So you have video footage of your desk being rifled through - guess what? The guy’s wearing a ski-mask! Robbery is a planned crime and thieves prefer to conceal their identity. Therefore, the priority for the Police is to respond to crimes in progress. Much lower down the priority list is the need to investigate crimes that have occurred by the guy in the mask. 3.) CCTV doesn’t deter criminal activity from your location. Thieves are not put off by CCTV cameras, but they do know about our Sonitrol security systems and how fast the Police will be on-site in response to a call from our monitoring station. When it comes to protecting your property, don’t put a CCTV system in place that is meant for off-site monitoring for operational management. The better solution is Sonavision by Sonitrol, a full featured, integrated and VERIFIED electronic security system that really works!